When we first moved into our Raleigh home 18 years ago, we had a one-year-old child and two more to come later. With a half-acre lot, working full-time, and parenting, I had a lot on my plate, but I wanted to be able to give my children a safe place to play and enjoy the wonders of nature. To that end, I created Helen’s Haven, a haven for kids and adults alike to witness the joys wildlife can bring. Each time we open a house door to exit outside, birds scatter. This happens from sun up until the sun sets. By now, one might assume we take it for granted, but no. Every time, we experience it with the same joy, as if it were the first time. Helen’s Haven is a National Wildlife Federation certified backyard wildlife habitat. And by wildlife, I’m not talking tigers, lions, and bears. Rather, the focus for Helen’s Haven is on the birds, bees, and butterflies. I love clichés, so no apologies here: If you build it, they will come. This is so true. Wildlife gardens have four requirements, most of what you probably already have: food, water, shelter, and a place to raise their young. 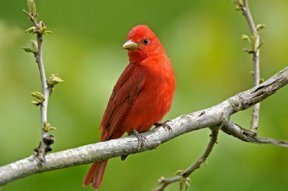 Food can be in the form of supplemental seed or by selecting plants to satisfy a number of birds, such as coneflowers for the yellow finches, hollies for the fruit-loving birds, and even your lawn is easy pickings for the robins looking for worms. To create a butterfly garden, provide plants to sustain their complete life cycle. Flowers will provide nectar for the adults, but you also need to provide host plants specific to the butterflies you hope to attract. Three great host plants for swallowtails are parsley, dill, and fennel. Just know, those “green worms” are going to eat those plants to their little heart(s) content, so plant a lot. Lantana and butterfly bush are like a butterfly buffet. Water can be as little as a birdbath or as large as a retaining pond. The key is to provide fresh water daily. At Helen’s Haven, I provide a variety of “baths” at various heights and freshen the water about every four days to break the mosquito-breeding cycle. Every plant provides shelter on some level. The denser your habitat, the more wildlife you can support. My garden is dense with ground covers, annuals, perennials, shrubs, trees, and vines. When those birds scatter as I open the door, they fan out like the rays of the sun; easily finding a protective place until things settle back down. It’s not just the birds that need shelter. Butterflies will look for crevices in woodpiles and stacked stone. Native bees will look for hollow stems to lay their eggs. While the native bees, like the mason bee, can benefit from a commercial bee box, butterflies aren’t so easily fooled. So only add a cute butterfly house for the cuteness; butterflies are not likely to use it. When it’s time to raise a family, the birds have specific needs. Some are cavity dwellers, while others look for a crotch in a tree. For the cavity dwellers, nesting boxes will provide what you need. Nesting boxes are what were formally thought of as birdhouses. The idea of housing a bird is poetic; that you’re providing a place for your birds to raise their young, and then they are out of there. Nesting boxes are specific to the size of bird you are hoping to help. At Helen’s Haven, we have a variety from larger owl boxes to strategically placed bluebird boxes. A wildlife habitat doesn’t need to look wild to be effective, but by providing what they need, your garden will be wild. -Parsley and dill for anise and black swallowtails. -Passion vine and violets for gulf and variegated fritillaries. -Clovers for the clouded sulphur. -Yarrow for the painted lady. Coneflower, elderberry, lantana, Liatris, parsley, dill, and fennel flowers, stokes aster, tickseed, verbena, yarrow and zinnia. Azalea, Cardinal flower, columbine, canna, hollyhock, salvia, trumpet honeysuckle, weigela. Abelia, bee balm, black tupelo, clover , coneflower, cosmos, dahlia, honeysuckle, maple trees, sunflower. Beautyberry, black cherry, black gum, black-eyed Susans, chokeberry, coneflower, dogwood, viburnums.